We hosted a “preview” of the panels for April at my studio. 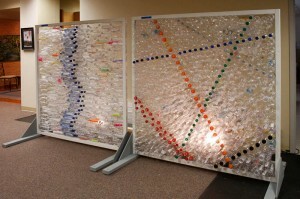 Lots of people came by to see where their bottles were going. 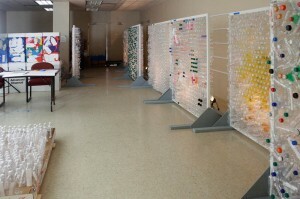 The original concept for the wall was a single stacked design and now we have gone to individual panels. I think everyone was happy with what they saw. Many thanks to my brother Robert who was here all week to help us get over the hump, finalizing and constructing the support system and wiring the lights. Dorian was also in painting and of course entering bottle messages. It’s all these other details that take time and need to be done right. Thanks to everyone who attended and we are super excited about the May 2, except that we know there will be some long hours to put in before the opening. Hope to see all of you there! I can remember struggling to get some adults to participate in this project. And I know many who just didn’t, for whatever reason. 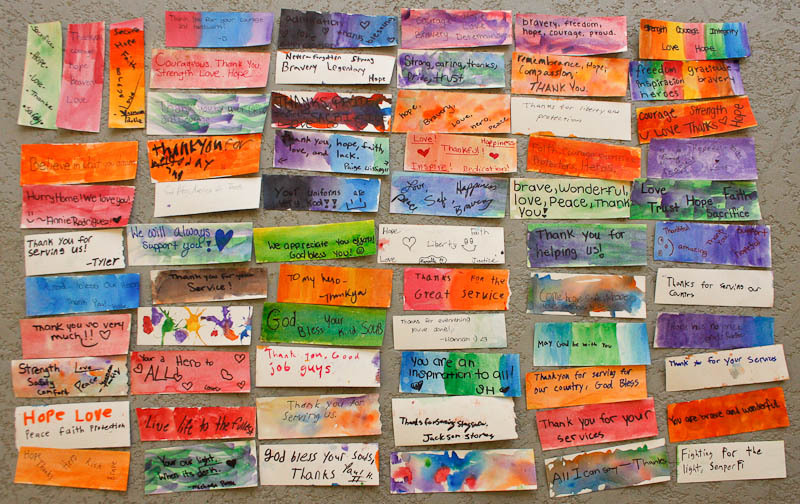 Then we experience an outpouring of care and attention that makes you want to shed a tear. 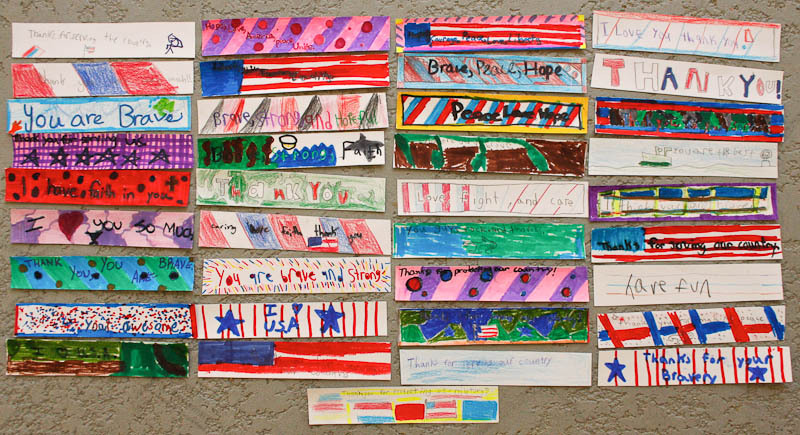 These are the messages we received from Durbin Creek Elementary and Fruit Cove Middle, two schools attended by the grandchildren of Pam Zambetti, my friend and gallery manager at Southlight Gallery. Pam reached out and got the teachers in the schools involved. They made it a very special project. The messages were delivered by police officer A. Smith. At first I thought we were in some kind of trouble. It’s not often that a police officer comes by the studio. Special thanks to Ms Greening, Art Teacher at Fruit Cove Middle School, and Ms. Sallas, Third Grade Teacher at Durbin Creek Elementary. It goes to show that teachers make all the difference in the world. Well done! 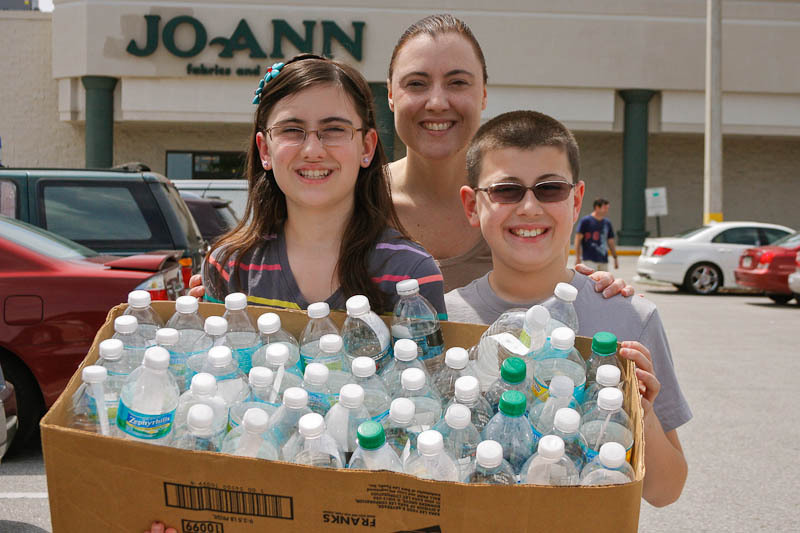 Dorian was happy to pick up around 100 bottles from the American Heritage Girls (AHG Troop 2345) of Yulee, FL. Sharon and daughter Courtney were proud to present their contribution and we were happy to receive it. 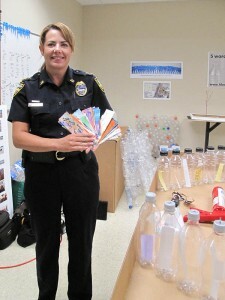 Over 40 girls are part of this troop and they all pitched in to create messages and bottles. Thanks! 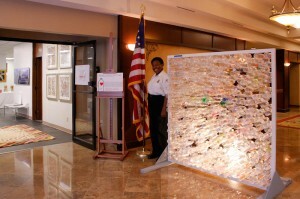 Today I received the ok that the Wall can be up during the Jacksonville Jazz festival, Yay! We checked out the sight lines from the park and determined that there will be no major obstructions to Main Stage. I know the park will be packed with people, so the Wall will get lots of exposure. We are thinking of hiring a security guard to be there to keep the kids and dogs away…who know what inebriated jazz lovers may do. 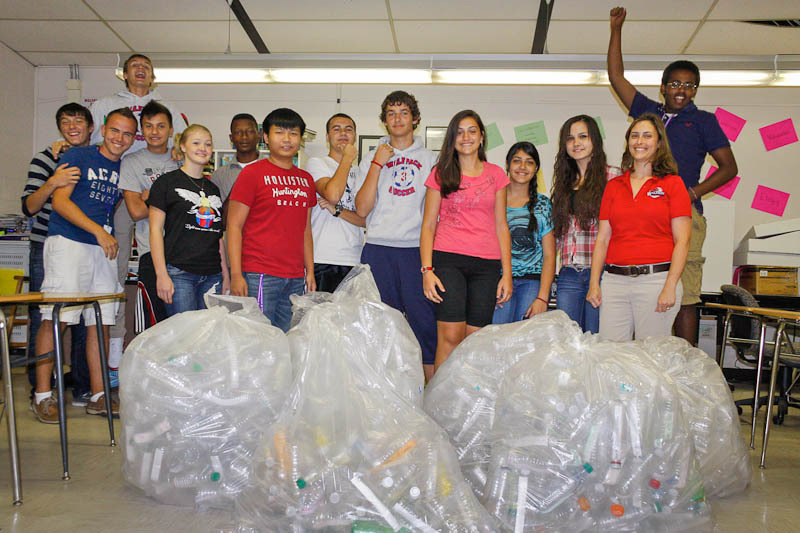 “Super Messenger” Award of the Week goes to Ms. Tinsley and her Wolfson students who collected over 2000 bottles with messages PLUS another 5000 empty bottles. 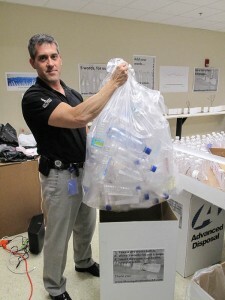 They are currently working with Dupont Middle School to get another 1000 messages for those empties. Unbelievable effort! I think we’re going to need more caulk! 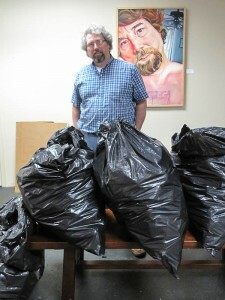 Tony Wood, fellow artist, studio neighbor, and Englewood art teacher brought in 4 large bags from his students. Tony got the students involved a few months ago and encouraged them to participate in a community based project. It’s great to see students embrace something that is important to them, not for a grade or credit or service hours, just because they want to. Thanks Tony and the Englewood Rams! 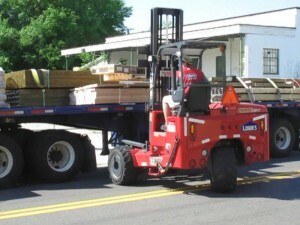 Today the Lowe’s delivery truck dropped off our big order at Dolf’s Cork studio. Dolf is cutting all the lumber for the frames which includes ripping 60 2x4s and cutting 56 plywood support plates. It’s always nice to have friends who can build things. Hope the painting service is also included! I was really impressed with the service at Lowe’s even though it costs $80 for a delivery. Everything arrived on a big truck and the guy drove his forklift right into the doorway. Seeing that alone was worth the price of admission. 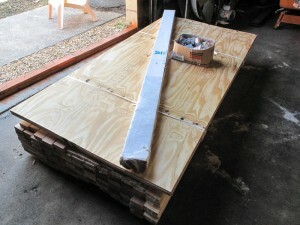 Today I placed a big one to get the lumber and supplies for the panels. We have 3 constructed and I purchased enough material for 27 more. Hopefully we’ll stop at 28 panels. This does not include the paint and lighting system, which I will get on another trip. Oh, and a couple more tubes of caulk. I go through about 3 a day. Tomorrow the delivery truck will drop off at Dolf’s studio where he will rip the 2x4s for the frames. Then I’ll look for some volunteers for sanding and painting. Hey, where did everybody go? 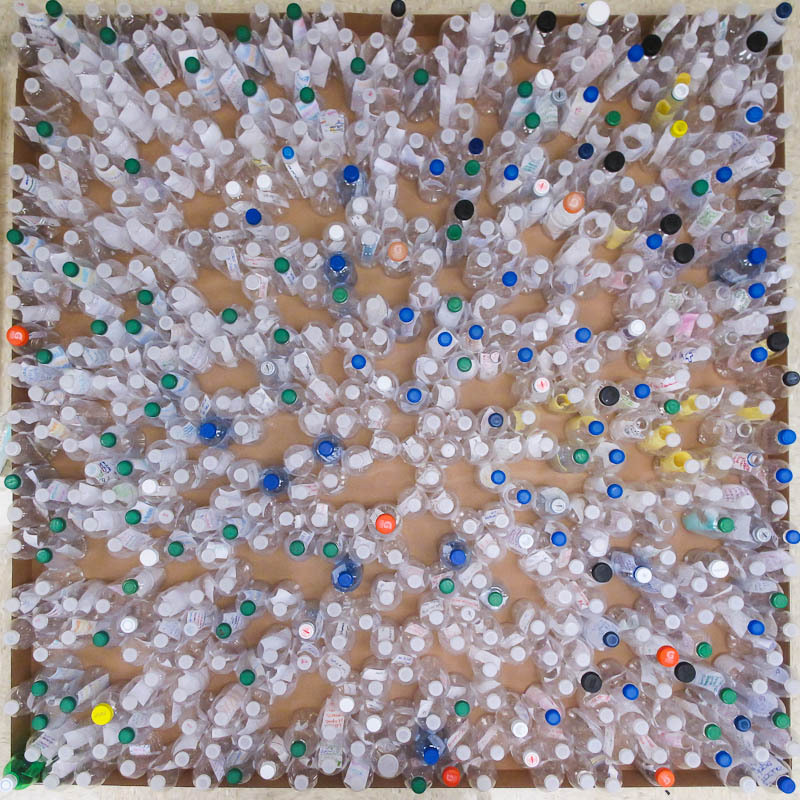 Panel 1 – “Dots”. 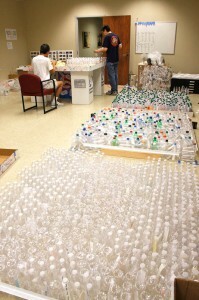 433 bottles, 4.5 hours to build. Completed Saturday, March 17. This is the first panel so I wanted to keep it pretty simple using techniques already tried for the various test walls. 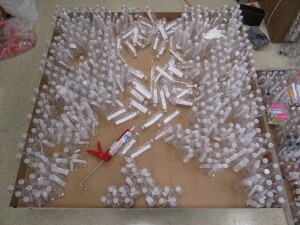 It’s easier to leave some gaps so that the various diameter bottles just naturally seem to fit. There is always a certain amount of randomness that you have to accommodate, every bottle is slightly different. It’s also easier to build bottom side down as opposed to sideways because each bottle’s base is slightly wider than the tops (some more so than others). As I was building the first test wall it was evident that the wall was tilting as it grew taller. Another aspect of the design is the actual color and patterns of the bottles. 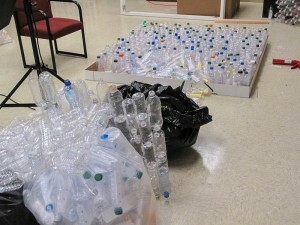 If you grab whatever is in a single bag and go through that bag entirely before starting on the next, there is a chance that there will not be an even mix of bottle shapes, colors, or cap colors. For most of the designs, I’m after a uniform randomness. Dorian is sorting the bottles into bins so that I can have a handy way to choose the bottles before I start construction. “Dots” is named after the pattern of brightly colored caps that are visible on the front face. Only after I finished did I realize the number of blue caps that ended up in the design. Normally, blue is not that common so I was lucky on finding the right bag. The panel was constructed on the floor before I realized how much easier it would be to raise the tray to bench height! I looking forward to the remaining 27 designs. Do you need a wheelbarrow for those?